Opening Reception: March 8th 2018 Hours: 6-9:00 p.m.
Chelsea, NYC – HG Contemporary presents: Fearless Genius, a monumental photo exhibit showcasing a pivotal time in American & technological history. 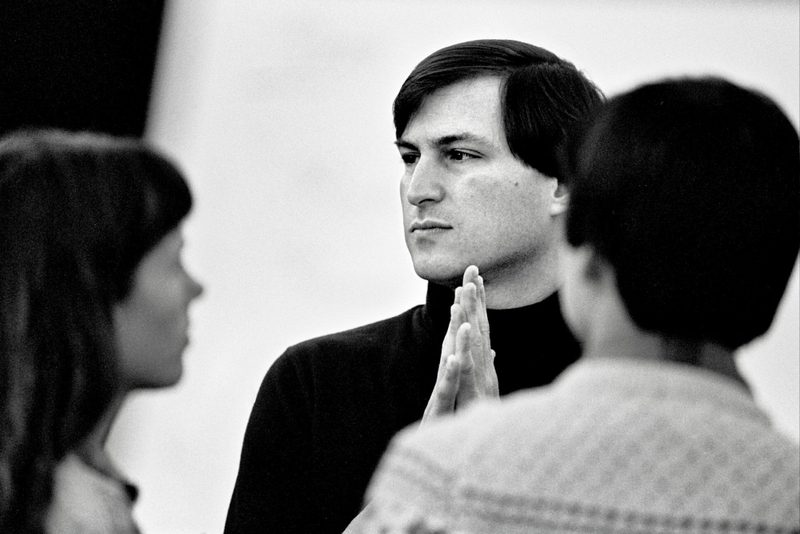 With exclusive access to Steve Jobs, during a time described as the ‘golden era’ of Silicon Valley, Doug’s collection of masterfully crafted images documented a niche of American entrepreneurs who were on a mission to change the world. From the creators of the smartphone to the visionaries behind making the internet accessible to everyone, this era altered the course of humanity’s evolution. Doug’s anthropological study fostered a profound understanding into the daunting, magical, and excessive human beings who were critical in altering our perceptions of reality through the development of their tech dreams. Doug’s eye highlights the fortitude of what is achievable when a group of individuals share a collective mission. The result is an unforgettable exhibition of photos that will be studied by generations to follow. Doug Menuez is a craftsman of human observance. His photographs evoke a wide spectrum of emotions with more than 30 years of creating art through his documentation of cultures worldwide. The exhibition of Fearless Genius opened in Moscow at the Photobiennale in March 2012 and has been continuously traveling worldwide with exhibits in China, Spain, France, the UK, and most recently at the Computer History Museum in Silicon Valley, which set a record for attendance. Hoerle-Guggenheim Contemporary is a breakthrough gallery founded by Philippe Hoerle-Guggenheim in 2014. The gallery has built a reputation for unearthing distinct artists and producing shows that embrace groundbreaking aesthetics and concepts. HG Contemporary has produced exhibitions featuring: RETNA, Tim Bengel, Stuart McAlpine Miller, Jason Dussault, Massimo Agostinelli, Olga Tobreluts among many others.